What is ........? | Comets Baseball Club Inc. Here are some answers to those silly questions that I'm too embarrassed to ask, but if I did, would make things a lot clearer. The following points are to give you a guide only to each of the forms of game played by Comets players. If you have a question, please ask a committee member. Blastball is for our four to six year olds. A perfect play game for little ones, incorporating the skills of throwing, catching, hitting, running and fielding. The ball is struck off a "tee" which is adjusted to each batters height. The ball used is a Reduced Injury Factor (RIF) ball. It's also smaller in size than the normal baseball. The aim is to make first base, which sends out a "blast" when the runner steps on it. Points can be awarded for displaying various skills. The game is modified as the skill levels of the children increase. A great Friday afternoon wind down for parents. 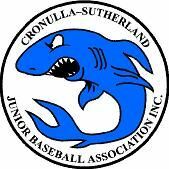 Aussie T-Ball is a modified form of baseball which is designed to introduce children (5, 6 yo) to a structured game of baseball and help them deveiop basic baseball skills in a fun way. There is no pitching in Aussie T-Ball, instead the ball is struck off a "tee" which is adjusted to each batters height. The bats and balls used are foam (same as Blastball). The diamond is reduced in size to about a third of full size (30ft vs 90ft). The number of players in any one team is between five and seven. The number of runs allowed in any one innings is limited to seven. This ensures that no game becomes one sided. The game is limited in its duration to one hour. A hitter may have as many swings as they require in hitting the ball into fair territory. An inning is completed when every player on the batting team has completed a turn at bat. Games are played on Saturdays starting from 9am and finishing by 10am. Uniforms are provided by the club and are to be returned at the end of the season. Bats, game balls, etc are provided for by the club. There is no training afternoon during the week for this game. Tee Ball is a modified form of baseball which allows our younger folk to enjoy the thrill of the hit and run of baseball. There is no pitching in Tee Ball, instead the ball is struck off a "tee" which is adjusted to each batters height. The ball used is a Reduced Injury Factor (RIF) ball. It's also smaller in size (8½")than the normal baseball. For under 8's the diamond is reduced in size to a bit more than half full size (50ft vs 90ft). For under 9's the diamond is reduced in size to two thirds of full size (60ft vs 90ft). The number of players in any one team is limited to 12. The game is limited in its duration to one and a quarter hours. Games are played on Saturdays starting from 9am and finishing by Noon. Bats, balls, helmets and catchers kit are provided for each team by the club. You'll need to provide: "hector", cleats, socks and glove. Each team has a training afternoon scheduled for during the week. Zooka/Machine Ball, like Tee Ball is a modified form of baseball which builds on the skills learned in Tee Ball, and takes your child another step closer to baseball. There is no pitching in Soft Toss, instead the ball is "pitched" from a "Zooka" pitching machine. This ensure that a consistent pitch is delivered to the batter. The diamond is reduced in size to two thirds of full size (60ft vs 90ft). 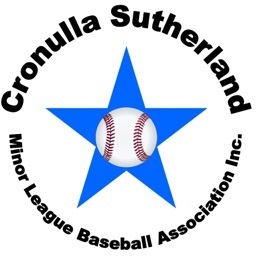 Junior baseball is played to a modified set of rules that are designed to ensure that each age group has the potential to maximise there development and enjoyment of the game. For Under 12's (Little League) the diamond is reduced in size to 70ft between bases. For Under 14's the diamond is reduced in size to 80ft between bases. For Under 16's the diamond is the full size of 90ft between bases. All age groups use a standard baseball. Age groups and grades within groups have varying pitching distances. For Under 12's and 14's the game is limited in its duration to one and a half hours. For Under 16's the game is limited in its duration to two hours. For Under 12's and 14's the game is played on Saturdays starting from 8.30am and normally finishing by Noon. For Under 16's the game is played on Saturdays starting from 1pm and normally finishing by 5.30pm. You'll need to have a Comets uniform, plus: "hector", cleats, socks and glove. Each team has a training afternoon/evening scheduled for during the week. 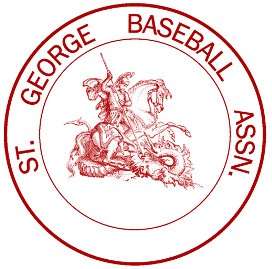 Senior baseball is played to the set of rules as published by each of the Associations that we field sides in (Summer - CSMLB, Winter - StGBA). The Summer competition has a minimum age of 15, while the Winter competition has a minimum age of 14. Players are graded and Comets generally field sides in most grades from 1 through to 6 (Summer) or 8 (Winter). The number of players in any one team is a minimum of 9 and a maximum of 14. Summer games are played for 2 hours 30 minutes or 7 innings(1st Grade) and 2 hours or 7 innings (all other grades). Winter games are played for 2 hours. All Softball games are played at the Associations field at Woolooware. You'll need to have a Comets uniform, plus: cleats, socks and glove. Indoor softball is played on a converted indoor supergrass soccer field and is a much faster and less restrictive game than outdoor, as many of the rules have been modified for indoor play. Both teams have two turns at batting and two turns at fielding, both consisting of a fixed time of 9 minutes regardless of how many outs are made the aim is to score as many runs as possible in the time. The game's done and dusted in under an hour, however the social team bonding can last a little longer.